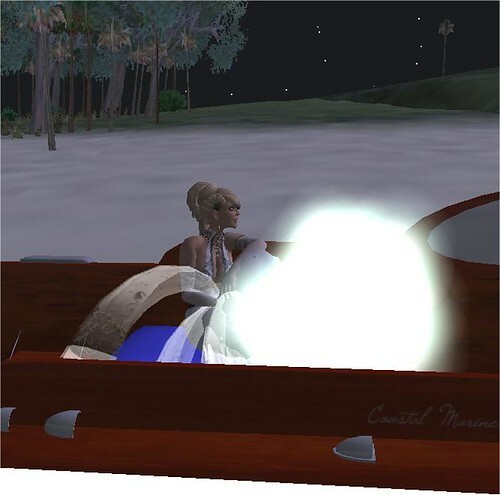 As I am having time off from Second Life, this blog is very dead..
We´ll see how it goes, maybe I´ll wake up again..
Until then – TAKE CARE! ..who on earth is this?.. 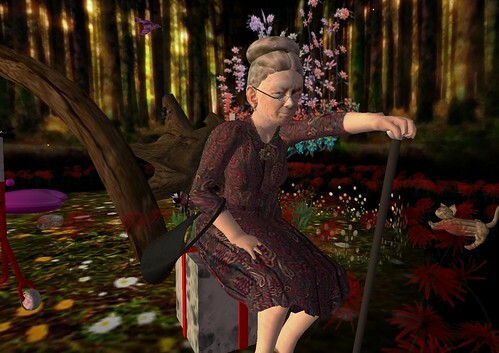 This old lady popped by tonight..
Today my friend PetGirl (Tina) Bergman turns 4 years old in SL. 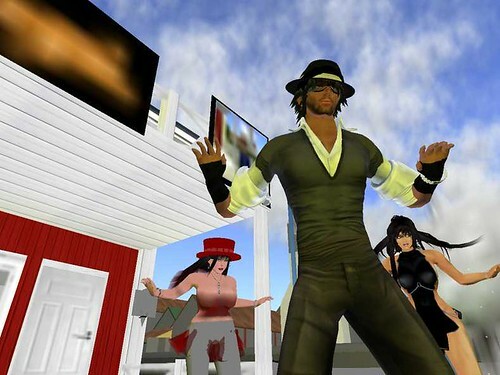 I want to thank you for all the things you do for us Swedes in Second Life. Your blog Tinas Universum http://tinasuniversum.blogspot.com/ is great! You´re a perfect teacher! 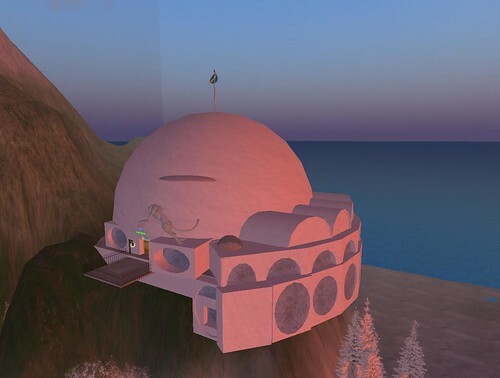 You are sharing everything you know about SL with us – I think it´s both educational and entertaining! And that is not all you do for us. 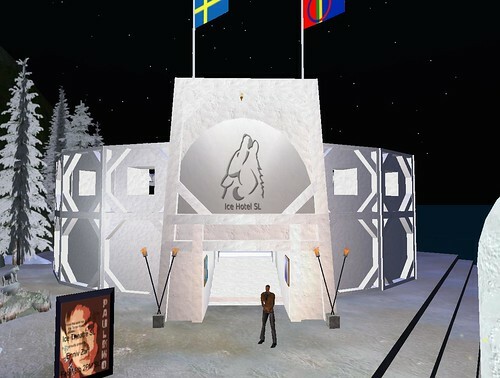 You´re behind many of the big Swedish events and also the owner of the group “Swedish people in SL” which provides us with help and contact with other Swedes in-world. 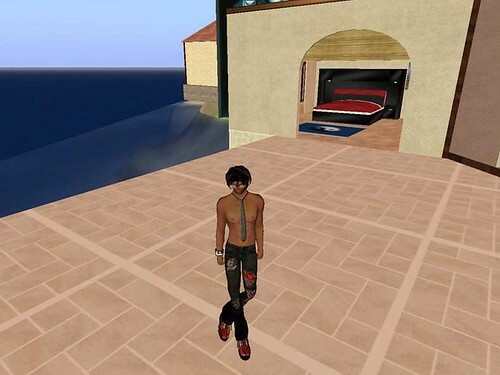 ..time to visit the icehotel in SL.. The other day I received a message from my friends Ewa Aska and Jesper Prinz. 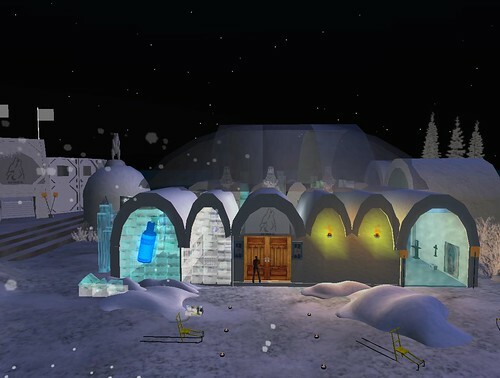 The Icehotel SL is opening! 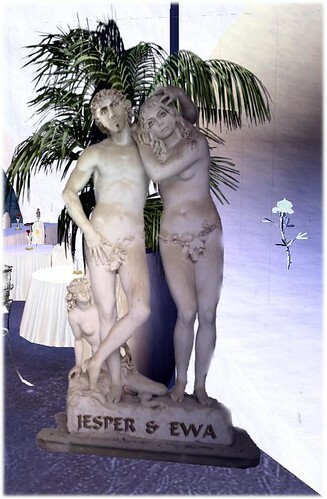 I´ve already been there at their wedding and the 12th night ball, but I haven´t looked around properly yet. Now they have opened the possibility to hire rooms in the hotel or rent one of their cottages. I´ve heard two of the three is already hired. Hurry up! 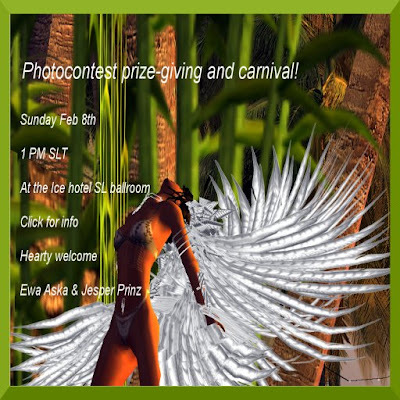 Read all about that on the icehotel in SL´s blog. Knowing this, it was time for me to make a “private visit”. I met up with Jesper and asked him to show me around the sim. I must say it´s impressive! They´ve put down a considerable amount of time and work to make this place into what it now is. Good on ya, Ewa & Jesper! 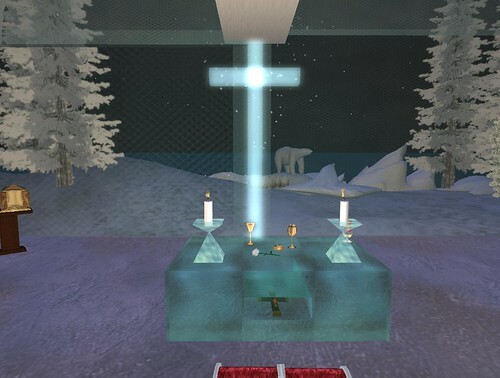 On January, the 24th they got married in the ice church. The church has actually been blessed by a priest. See more pics from the wedding here and read about it here. Then there is the Theatre. All made in ice, off course. This is going to be used for “sit down and listen”-performances. It all starts off next sunday with a japaneese pianist, called Enniv Zarf. The theatre was built buy Cur Waydelich. One thing you must try is trekking in the Kebnekajse. You can buy your own trekking equipment there. 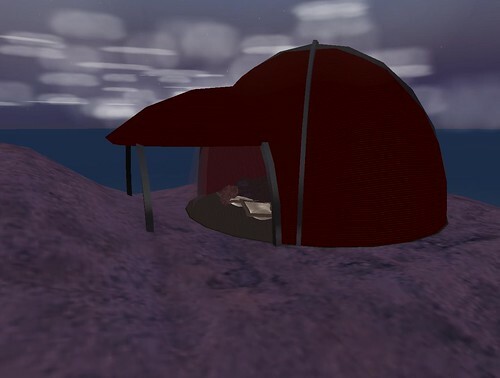 And why not spend a night in a tent and look at the stars and the nothern lights? See more pics on my Flickr – click here! 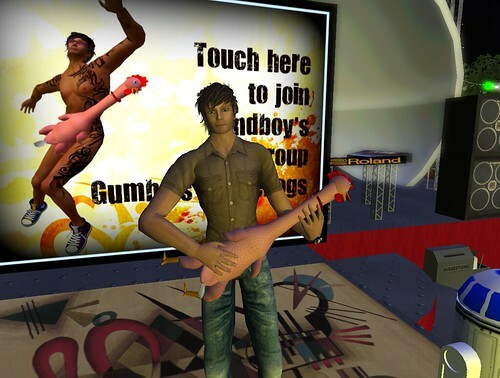 ..a guitar is a guitar is a guitar..
As my friend Tina says.. Why do things in SL have to look like they do in RL? Check Gumbo out – he´s really good! I´ll get back on him later! I have known Apmel for quite some time now, I remember first meeting him in the old Second Sweden, and also in the more serious (for us both, I think) Swedish Resource Center. We were dancing and playing in Second Sweden and being more of our RL-personalities in the Swedish Resource Center. 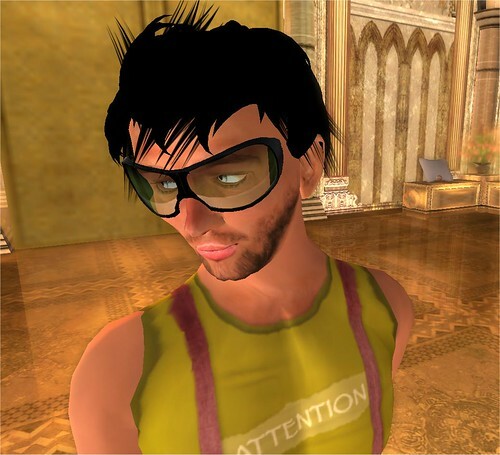 Apmel has always tried to bring more serious questions into SL, and I think that is a good thing. He is mixing those sides of himself with his opposite. 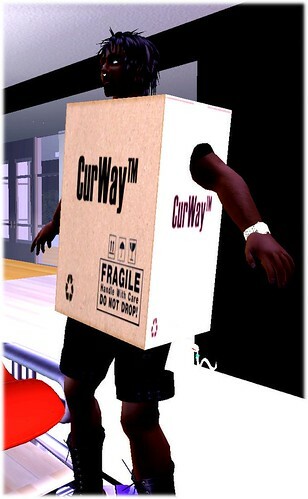 As most of us, he is having a lot of fun in SL, too. That´s how it should be! As I started off with, there is a lot to say, but what I wanted to write about this time is a different side of Apmel – no not at all a secret one – if you´ve seen Apmel (or the other two) you should know. Apmel has been kind enough to give me some pics of himself. I´ve put them all on my Flickr-page – click here to go and see for yourself! Apmel has a blog of his own – Take me there! There is a presentation of Apmel on my swedish blog – Let me see! This was the second person in my “I dare you” – challenge. Now, will you be the third one? My friend Cur (also known as “the cloud”) is getting old. Today, he turns two years old. ..the wedding between ewa aska & jesper prinz..
..the loss of a dear friend..
..blanche argus at tempura island..
d ika on .. talking about names ..